Capturing 1950s style with pretty green pearls and crystals these stud earrings are classic and glamorous. Oh so pretty for a green wedding theme. Awash with delicate soft green hues, our Perfect Pistachio Earrings embrace timeless 1950s style. Pretty pastel tones never fail to add a touch of feminine retro charm and these swoon-worthy green pearl earrings are the perfect example of the impact of understated pale shades. 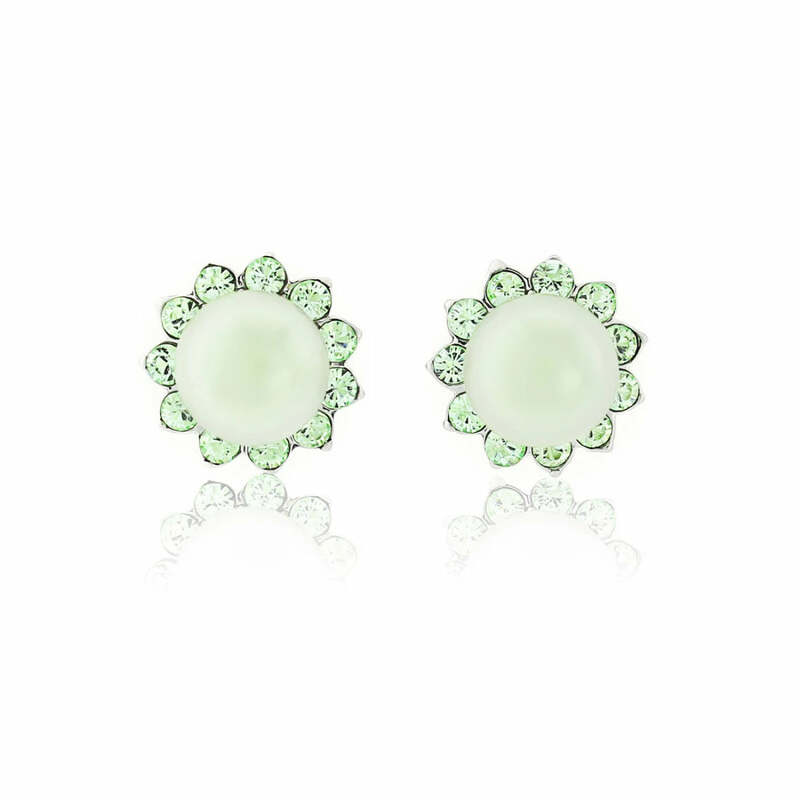 Bejeweled with shimmering green crystals and a single light green pearl, play up the vintage charm of these chic studs by teaming with a cute ditsy floral print 50s skirt or a simple white shift dress for classic Grace Kelly style. Whether you’re off to the races, a wedding or a dinner date, Perfect Pistachio will added the perfect measure of refined colour. Adorable bridesmaid earrings to complement a soft green scheme or outdoor wedding, their versatile design ensures this appealing pair look equally as beautiful with a short bridesmaid dress as a timeless long gown. Coordinate with our matching accessories in this elegant hue for divine bridal party style.